My name is Virginia Quiñonez, and my partner and I just moved to Evanston this fall. Besides reading, I love hiking, music, and film festivals. I work at the Chicago School of Professional Psychology. This is one of my favorite books in recent years. A classic romance and mystery novel with a different kind of heroine. Ben Nadler believes that “a writer owes a reader a good story,” and with his excellent new novel The Sea Beach Line, that’s exactly what the Brooklyn-based author delivers. A hypnotic hybrid of literary crime fiction and Jewish folklore, The Sea Beach Line tells the gripping coming-of-age story of Izzy Edel, a young man adrift after being expelled from Oberlin for hallucinogenic drug use. Given renewed purpose after receiving a mysterious postcard from his estranged father Alojzy, Izzy travels to New York City where he must navigate Alojzy’s world of street vendors, gangsters, and members of a religious sect as he searches for his missing dad. Filled with sharp insights on loyalty, self-reliance, and the complicated bonds of family, The Sea Beach Line was described in Library Journal’s starred review as “a mesmerizing narrative that will speak to any readers who have tried to make sense of their parents’ lives or the secrets that people keep.” This Monday, April 25th at 7 pm, you can hear Nadler read from The Sea Beach Line when he visits Bookends & Beginnings as part of an EPL-sponsored event also featuring author Abby Geni. In anticipation of his visit, we recently spoke with him via email about literary traditions, his novel’s origins, the history of Hasidic tales, collective memory, and a few of his favorite books and poems. 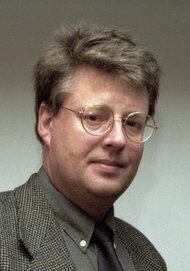 A new anthology of crime fiction will include a short story written by a 17-year-old Stieg Larsson. The anthology titled A Darker Shade of Sweden to be published February 2014 will feature stories from 20 Swedish writers, including Henning Mankell, Asa Larsson, Maj Sjowall, Per Wahloo , and Sara Stridsberg. Mr Larsson’s companion Eva Gabrielsson will also have a story in the collection. According to the publisher the anthology “promises to sate the desire to read about the darker side of Sweden.” Mr. Larsson’s Milennium trilogy which began with The Girl With the Dragon Tattoo is one of the most successful series ever published. Read the entire article here. Our final Book Trailer of the Week for 2010 is this chilling award winner for Norwegian author Jo Nesbo’s haunting mystery The Snowman. Billed as the perfect crime fiction fix for Stieg Larsson fans, The Snowman is the fifth heartstopping read in a bestselling series favorably compared to Michael Connelly’s Harry Bosch books. So check it out, or if you prefer, climb aboard on the ground floor with The Redbreast, the series opener voted by Norwegian book clubs as the best crime novel ever. Either way, though, beware… this snowman is nothing like Frosty. Find “In Stieg’s League: Millennium Trilogy Readalikes” at Off the Shelf’s new home on Evanston Public Library’s redesigned website.